If there’s a flood or leak in your home you need to act quickly to try and repair or restore items that have been damaged by water. There will be things that are permanently damaged, but you should sift through what can be saved. Your carpet is a big target for water leaks. Determine whether or not the water from the leak or flood is coming from sanitary water, which comes from pipes or rain, or if it’s unsanitary water that comes from toilets, underground or sewage. Black or murky water that floods onto your carpets means that you should get rid of the carpet, as well as the carpet padding. Water damage can bring up serious health hazards even if it’s sanitary water, because moisture allows mold and bacteria to thrive. Move the furniture away from the water-damaged area. Disinfect the area that has been damaged by water. Mix about 3 tablespoons of bleach with a gallon of water and scrub the cleaning solution to the wet areas. Make sure the room is ventilated very well. Switch out the carpet padding. Reach the carpet padding by using a box-cutter. Keep the surface carpet elevated when removing the padding underneath. Put the new carpet padding in, and lay the carpet back down starting form the inside and moving out towards the edges. Adhere the carpet back down to the tack board with something strong. Acquire heavy-duty fans to blow directly onto the carpet for about 30 hours minimum. Use a dehumidifier to speed up the drying process. If the carpet doesn’t seem to be getting dryer after about 12 hours, you will probably need to replace the carpet completely. The first recipe is recommended to be poured into a spray bottle, and recipes 2 and 3 can be stored in containers. When you’re polishing furniture or wood, you do not want to spray the polish directly on. Spray or pour the polish onto a white cloth and work it into the furniture or wood, and then wipe it away. The polish should make the furniture look more vibrant. If it still looks dull, wait several minutes an repeat the polishing process. Bug proofing your home is something that most people don’t think about doing. A variety of bugs are potential dangerous, as they can sting you, and certain bugs like mosquitoes, fleas and ticks, can carry diseases. There are some very basic steps that you may take in keeping bugs out of your home. Seal Your Home: It’s as simple as that. Seal cracks, holes and spaces underneath your doors. Additionally, it’s also important to seal up the holes or cracks on your roof. There are holes commonly found on the chimney or roof vents, so don’t miss them! Insects are pesky little things that can get into your home, so take the proper precautions to keep them out. Yard Maintenance: Keeping your yard maintained is important to lower your bug infestations. Bugs, especially mosquitoes, need a water supply so getting rid of puddles of water in your yard is also a good way to stop infestations. 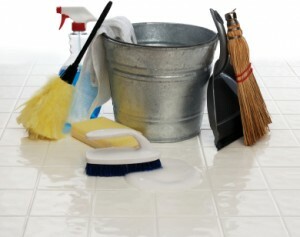 Clean Your Home: This is pretty logical, as a home that is cleaned weekly will maintain the health of the home. A dirty home is an ideal place for insect breeding, as there will be plenty of places to hide for the bugs. In addition, keeping your eating areas/rooms to a minimum will also help keep bugs from spreading. Make sure you clean up your eating area every time after you eat, and don’t ignore those crumbs! Store Your Trash: Your bags of trash are another ideal place for insects to hide and breed. The most popular insect found in trash bags are cockroaches. Trash needs to be put in a proper container, and placed outside every night. Trash containers must also be cleaned regularly.